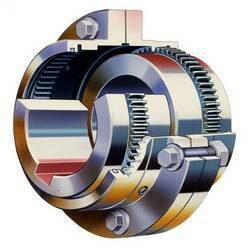 We offer Industrial Couplings that are extensively required in a number of industries. The different types of Industrial Couplings that we deal in are Concave Jaw Couplings, Flexible Couplings and Geared Couplings. These Industrial Couplings are made available in variety of sizes, types and grades. 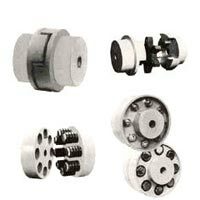 The Industrial Couplings can be availed at economical prices from us. We are counted amongst the reliable Industrial Couplings Suppliers in Kolkata, West Bengal. We are a well-known Flexible Couplings Supplier in Kolkata, West Bengal. Clients can avail from us Flexible Couplings that are made from aluminum. Flexible Couplings can be easily used and are required in several industries to convey torque from one shaft to another. The Flexible Couplings have a major role of absorbing the shock loads. Catering to the requirements of several industries, we bring forth the precision-engineered Geared Couplings. The Geared Couplings that we offer are made from the finest materials and are accurately dimensioned. The Geared Couplings ensure high performance and last long. Geared Couplings can be availed in standardized and customized models.